Yes, there are peanut M&M’s, crispy M&M’s, spicy chili, coffee-flavored and even Pumpkin Spice Latte M&M’s. The little candies have come a long way from just being dots of candy-coated milk chocolate. And now, butterscotch fans are the next to get their fix as M&M’s will be releasing a new White BOO-terscotch flavor just in time for halloween. It joins their other fall-themed flavors which include Pecan Pie and Candy Corn and crispy S’mores and will be sold exclusively at Target stores in the coming weeks. According to Delish, the butterscotch candies also have an added bonus for Harry Potter fans: they taste like Butterbeer so while a taste for butterscotch may be a bit old-fashioned, an unofficial endorsement like that could bring in a whole new slew of devotees. 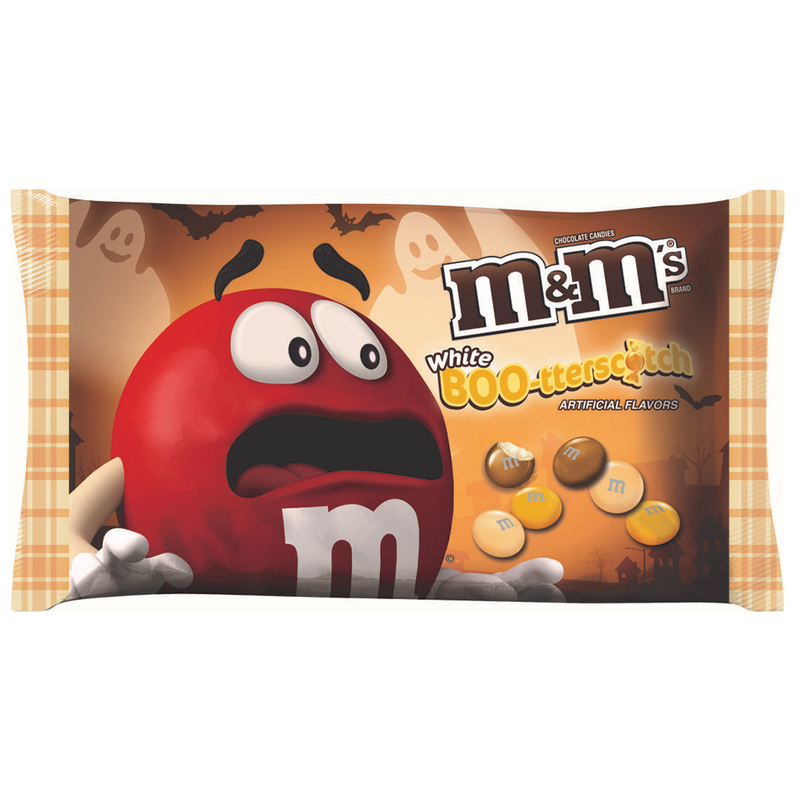 BOO-terscotch is M&M’s latest to feature a white chocolate center instead of the traditional milk or dark chocolate varieties. Other white chocolate entries have included Peppermint, Easter Sundae, Strawberry Shortcake and the previously mentioned Candy Corn limited/seasonal releases. Okay, have M&M’s flavors gone too far? We’ll withhold judgement until they start tasting like Swedish Fish.